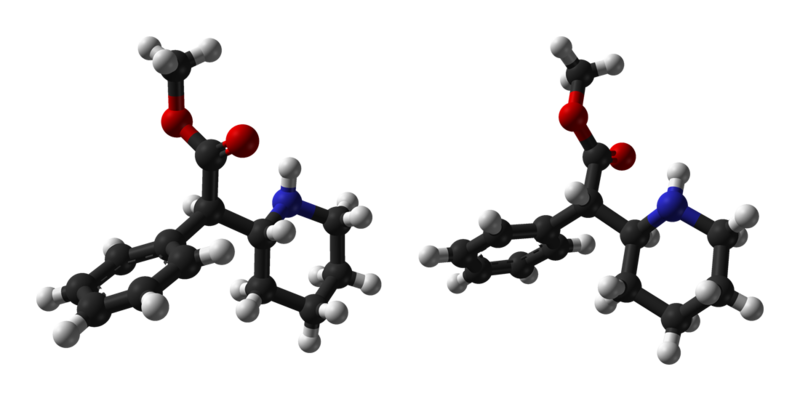 Methylphenidate is a Generic name for a special type of medication which is well known as a central nervous system stimulant. This medication normally affects chemicals in nerves and the brain which contributes to impulse control and hyperactivity. This medicine normally uses for the treatment of attention deficit disorder, narcolepsy and attention deficit hyperactivity disorder. First, this medication was licensed by the FDA of USA in the year 1995 for the treatment which is now known as hyperactivity. 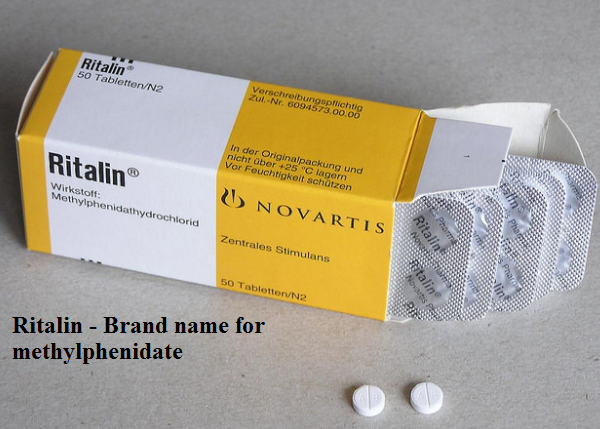 This medication is sold under many trade names but the most common and famous trade name is known as Ritalin. This medication began to medical use in 1960 and after 1990s this medication has prescribed vastly when the ADHD diagnosis became accepted. The prescription of this medication increased 50 % in between the year 2007 to 2012. What are methylphenidate molecular formula, drug class and weight? Methylphenidate belongs to the class of chemical entities known as aralkylamines. These are alkylamines in which the alkyl group is substituted at one carbon atom by an aromatic hydrocarbyl group. Methylphenidate is a class of drug which is specially used for stimulate the CNS which is known as central nervous system. This medication is similar to amphetamines but it has mild actions than the amphetamines. It treats attention deficit disorder, narcolepsy and attention deficit hyperactivity disorder. What is methylphenidate used for? Methylphenidate is a special kind of drug which specially uses for the treatment of attention deficit disorder, narcolepsy and attention deficit hyperactivity disorder. This medication normally affects chemicals in nerves and the brain which contributes to impulse control and hyper activity. It is a very useful and popular medication for ADD (attention deficit disorder) and ADHD (attention deficit hyperactivity disorder). How methylphenidate works in the body? As all of you known brain is the most vital organ of a human and it controls the nerves system. When you are taking methylphenidate this medication affects chemicals in your nerves and brain and contributes to impulse control and hyperactivity as a result, it helps a lot to the attention deficit disorder patient. Most of the doctor recommends this medicine for the treatment of ADHD, ADD and narcolepsy. You will get methylphenidate each of these above medications but the only difference is the brand name which is different from each other and it is because this medication is manufacturing by several companies so never get confused with names only always try to understand the composition or ingredient of the medication. If you have any doubt then strictly consult your doctor. What is FDA approved indications for methylphenidate? Methylphenidate is known as CNS stimulant which normally affects chemicals in nerve and brain which helps for the impulse control and hyper activity. This medication specially uses for the treatment of ADHD, ADD and narcolepsy. This is a good medication which usually uses for the treatment of narcolepsy, ADD and ADHD. Methylphenidate medications are well available in various strengths like 5mg, 10 mg and 20 mg and slow release forms containing 20 mg. The dosage always depends on your health condition so never take medication as per your calculation always consult your doctor and take medicine according to the prescription of the doctor for the better result. If you see any type of side effects then immediately consult your doctor because you may be any dose adjustment. For teenagers and adults: You need to take 5 to 20 milligrams two or three times per day. You can take it with or after your meal. Children 6 years or over: you need to take 5 mg two times per day, take it with or after breakfast or lunch. Your doctor may increase the dose to 5 to 10 mg in a week but it totally depends on your health condition or a maximum dose is reached. Teenagers and adults: You need to take 20 mg medication once or up to three times per day within eight hours of the gap. Children 6 years of age and more: You need to take 20 mg one to three times per day with eight hours apart. Children up to 6 years of age: For this age group, the doctor will decide the dose. Adults and teenagers: you need to take 5 to 20 mg two or three times in a day with or after meals. Teenagers and adult: you need to take 20 mg one or three times a day and remember the dosage gap should be 8 hours. 60 mg is the highest dose of methylphenidate but you need to consult your doctor for the best dose for your body. Never take any extra dose or never take the double dose if you miss it because it can cause overdose and can lead many side effects. So always take medication according to your doctor’s prescription. In case of methylphenidate overdose, you need to call your nearest poison help center or emergency medical attention. An overdose of methylphenidate is always fatal and can seriously damage your body. So never take any extra dose without the permission of your doctor. Even after the dose suggested by the doctor, if you mark any side effects then consult your doctor immediately because you may need dose adjustment. Sometimes use of methylphenidate may occurs minor side effects at the initial intake of medication but later it will adjust on your body. So in such case, there is no need of any type of medication but never forget to consult your doctor because you may need any dose adjustment. In all such side effects always consult your doctor for the best suggestion and treatment never neglect to any side effects. It’s quite important to take methylphenidate according to your doctor’s suggestion. Never take any extra dose without the permission of your doctor because medicine improperly or overdose can cause serious side effects and sometimes death. This drug may be habit-forming so don’t share this medication with other people special to the person who has drug abuse. If you need any dose adjustment then it should be decided by your doctor according to your health condition for the best result. Never take medicines larger or smaller amount as per your own decision. You may feel sleepy after taking this medication so to avoid it always takes this medicine in the morning. You should be taken some brands of methylphenidate at least 30 minutes before a meal but you can take the methylphenidate with or without food. Always try to follow the directions which normally stay on your medicine label. Never chew, crush or break the extended-release tablets. Always swallow it whole in case you break or crush the medication then pill may cause too much of the drug to be released at a time. Always try to swallow in a perfect way without chewing the medicine. Never save the mixture for later use if you open the capsule and sprinkle the medication into a spoonful of applesauce. If you are using oral suspension then shake it well before use it. During your methylphenidate medication, you need regular check up of your health especially your blood pressure, heart rate, weight and height. If you need any type of surgery then always say your doctor that you are using methylphenidate because the doctor may advise you to stop this medication for short period of time. Always store your methylphenidate at room temperature try to avoid moisture and heat. This medication is not approved for less than 6 year age group. If you are pregnant then your doctor will decide whether you will take this medication or not and it totally depends on your health condition. The doctor always suggest you after your complete check up so never take this medication according to your own decision because it can be dangerous. Is methylphenidate detectable on a drug test? If you are going for the standard NIDA-5 drug test then it is not but you can test it if you have any doubt. Methylphenidate always stays in the urine for around 1 to 2 days before fully excreted. According to the medical report use of methylphenidate medication can increase the risk for arrhythmias particularly in the case of young people or children those who have congenital heart disease. According to the research, the risk factor increases almost 60% for the arrhythmias. In such case, a regular health monitoring required and you need to consult your doctor for the best dose adjustment and best treatment or medication therapy. Never take the decision on your own regarding the medication intake because it can be harmful to you. Till the date, there is no pheochromocytoma reported by patients those who are taking methylphenidate. But it’s always better and safe to consult your doctor before taking this medication for the best dose and medication. Don’t take any medication without the suggestion of your doctor. If you mark any type of side effects then immediately discuss your problems with your doctor because you may need any dose adjustment or other medication. If you have hypertension and angina, then methylphenidate is always risky for you. So in such case always consult your doctor for the best treatment and dose adjustment. Never take or abrupt any medication without the suggestion of your doctor because if you are doing so then it may put a bad effect on your health condition. If you have serious heart disease or heart failure then there is always a risk factor on your methylphenidate. If you have such problem then consults your doctor and take proper advice regarding the dose and medication for the best result. Most of the doctor never recommend methylphenidate if you have the serious heart problem or heart failure because it always increases the risk factor. According to the medical report, people those who are using methylphenidate mostly female above the age group of 60 have Hyperthyroidism problem. So if you are one of them then don’t suddenly abrupt your medication, first of all, consult your doctor and check up your health condition after that take medication according to your doctor’s suggestion. Never take any medications without the permission of your doctor because it may lead serious health issues. According to medical study, methylphenidate can increase the anxiety so if you have anxiety problem then just consult your doctor if your doctor is suggesting then you can take according to the prescription. If you mark any type of side effects after taking medicines then immediately consult your doctor and discuss in details because there may be dose adjustment require for you. How long does it take for methylphenidate to work? Methylphenidate normally works within an hour but people react differently to medications. It will not take several days to work perfectly like other drugs so for the better information you can consult with your doctor. What happens if I miss a methylphenidate dose? If you miss a dose then take it immediately as soon as you remember but if the time is later than 6.00 pm then just miss the dose and take care for the future dose. Never try to take the extra dose for the adjustment because it can cause serious damage to your body. But if you have already taken overdose then immediately call to nearest health care center for emergency treatment. Can methylphenidate cause a heart attack? Yes, methylphenidate can cause or increase the risk of heart attack especially in the case of children so always consult your doctor for the better treatment and best dose. Never take any medication without the permission of your physician. If you mark any side effects then just discuss with your doctor in details because you may need dose adjustment for the better result. Can methylphenidate cause low blood pressure? Yes, according to the medical report it is found that those people who take methylphenidate most probably who are female and above 60 years age group are facing low blood pressure problem. So there is always a possibility of low blood pressure with methylphenidate medication intake. In such case, always consult your doctor for the best treatments don’t stop the medication immediately without consulting your physician. Yes, diabetics can take methylphenidate but you need to take extra attention to your blood sugar level as stimulants will raise the sugar level so if you are unable to monitor your blood sugar level then never take methylphenidate. So if you are a diabetic patient then consult your doctor and regular check up your sugar level and take medication according to the doctor prescription. After that, if you mark any uncertain side effects then immediately consult your doctor for the best solution sometimes patients need the dose adjustment to avoid side effects. It is found that people who are female and age group in between 20 to 29 years old are affected with asthma those have been taking this drug for even less than 1 month. So if you have asthma problem then you need to consult your doctor before taking this medication don’t stop this medication immediately. Just discuss your problem with your physician and take medication according to the prescription. If any side effects occur then says your doctor because you may need a dose adjustment or any other treatment for the best result. Never neglect to any type of side effects because it can be dangerous for your health. Can I abrupt methylphenidate therapy suddenly? No, you can’t abrupt methylphenidate therapy suddenly without consulting your doctor. If you do so then you may mark various side effects like withdrawals and much more it also put bad effects on your body so always consult your doctor and say him about your problems and take the suggestion for the best result and medication. If you suddenly abrupt you may also feel more depression and other mental problems so consult your doctor because you may need dose adjustment for better improvement of your health condition. Can methylphenidate cause withdrawal effects? No, methylphenidate never causes withdrawal effects but yes if you abrupt discontinuation of methylphenidate then it can cause withdrawal effects so never abrupt your medication without consulting your doctor. If you mark any side effects then immediately consult your doctor because you may need any dose adjustment. If you have used a MAO inhibitor in the last 14 days then don’t take methylphenidate because it can occur dangerous drug interaction. Never take methylphenidate if you have an allergy to it, tension, severe anxiety, muscle twitches. So if you have this type of problems then discuss with your doctor in details and follow their suggestion and medication. This medication is not suitable for use by anyone who is younger than 6 years of old. How long does methylphenidate work? Methylphenidate drug effect or working time on your body always depends on which type of medication you are taking. If you are using immediate release formulation then it lasts around 8 hours. If you are using sustained release formulation then it lasts about 8 hours at last if you are using extended release formulation then it will work around 24 hours. How long does methylphenidate stay in your system, urine, blood, saliva? According to the medical science research report, methylphenidate stays at least 2 to 3 days in the human body like in blood, saliva and blood. FDA has been assigned methylphenidate to pregnancy category C. there is no such controlled date in human pregnancy. Methylphenidate is only recommended by the doctor during pregnancy when there is any benefit outweighs the risk. But it’s always better to consult your doctor before using this medication during your pregnancy. There is no such perfect report on this matter so always discuss with your doctor for the best suggestion. As per the report a maternal 5mg of dose in the morning and 10mg immediate- release formulation at noon, you can find the milk/serum concentration ratio is 1.1. There are no such effects were observed in the infant but it’s always better to take the suggestion from your doctor. Can patients with renal disease take methylphenidate safely? There is no such clear evidence or report on this matter so always consult your doctor before taking methylphenidate if you have renal disease. Don’t take this medication without the permission of your physician because it can cause serious damage to your body. Can patients with liver disease take methylphenidate safely? No, you can’t take methylphenidate if you have liver disease because according to medical report it can lead serious liver damage so it’s always better to consult your doctor and discuss regarding this for the best medication and result. Methylphenidate produces a bi-modal plasma concentration- time profile which is around four hours apart. When orally administered to children diagnosed with ADHD and to the healthy adults then the initial rate of absorption are quite same for both Ritalin LA and Ritalin tablets which are around one to three hours. The absorption time is quite different according to the form of medication but the average time of absorption is around 8 hours. In the case of children, the absolute oral bioavailability of methylphenidate was 22±8% for d-methylphenidate and 5±3% for l-methylphenidate. Very small amount of hydroxylated metabolites is detectable in plasma. Metabolized is normally by de-esterification by carboxyl esterase 1A1 to form d-ritalinic acid, which has very less or no pharmacologic activity. According to the medical study, if an adult is taking methylphenidate then the medication elimination from plasma will occur with an average half-life period of around 3.5 hours. In the case of children, the half life will about 2.5 hours which is around 1.5 to 5.0 hours. 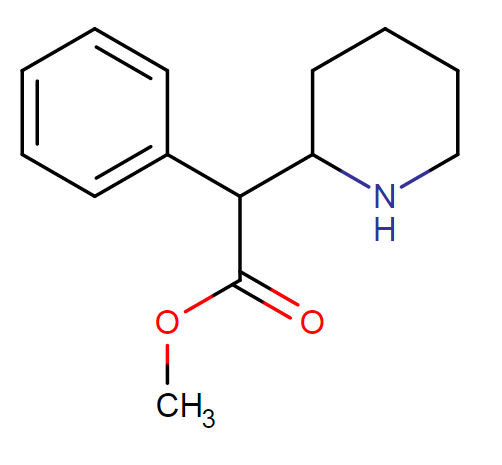 The whole system clearance is 0.40±0.12 L/h/kg for d-methylphenidate and 0.73±0.28 L/h/kg for methylphenidate. After taking immediate release formulation of methylphenidate 78 to 97% of the medication dose is exerted in the urine. Can I drink alcohol while taking methylphenidate? No, you can’t take alcohol while taking methylphenidate especially if you are using extended-release methylphenidate. Drinking alcohol with methylphenidate can change the way of the drug works in real. So always try to avoid alcohol during your methylphenidate medication. Can I take methylphenidate and aspirin together? Yes, you can take methylphenidate and aspirin together because there were no such interactions found between these two medications according to the medical science till now that doesn’t mean that there is no interaction exist so always consult your doctor before taking this medication. If you feel or mark any kind of side effects then just check up your body and consult your doctor you may need dose adjustment. Can I take methylphenidate and amlodipine together? No, you can’t take methylphenidate and amlodipine together because as per the medical report there are drug interactions between these two medications so always consult your doctor before taking any medications if after the suggestion of doctor you mark any type of side effects then discuss with your doctor because you may need a dose adjustment. Can I take methylphenidate and Viagra together? No, you can’t take methylphenidate and Viagra together because there are drug interactions between these two medications. So always consult your doctor to get the best and accurate suggestion. Don’t take any medication without the prescription of your doctor. Can I take methylphenidate and advil together? There is no such known interaction between advil and methylphenidate in medical records but that doesn’t mean that there is no such interaction exist so always it’s better to consult your doctor before taking these medications for the safety purpose and the better result. Can patients with congestive heart failure take methylphenidate? No, if you have a serious heart problem or congestive heart failure then it’s too risky for you to take methylphenidate and can be a cause of sudden death so never take this medication without the permission of your doctor. Can I take methylphenidate and digoxin together? No, you can’t take digoxin and methylphenidate medications together because there are drug interactions found in between them and can cause serious damage to human body. Always consult your doctor and make clear about these two medications for you. Can I take methylphenidate and hydralazine together? Yes, you can take hydralazine and methylphenidate together because according to medical science there are no such interactions found between these two medications. That doesn’t mean that there is no interaction exists so for the safety purpose always discuss with your doctor regarding these two medications intake and after the doctor’s suggestion if you mark any side effects then immediately consult your doctor because there may be any dose adjustment required for you. Can I take methylphenidate and metformin together? Till the date, there are no such drug interactions found as per the medical record between these two medications but that doesn’t mean that no interaction exists in between them so before taking these two medications together its always better to consult with your physician for the best suggestion. If you are taking these two medications and mark any type of side effects then never neglect to them just consult your doctor immediately and go for the solution or you may need any dose adjustment for the better result. This medicine normally comes with a tightly closed container so always keep your medicine in it and make sure that the cover is tight enough so that the air could not pass through it. Always keep this medicine out of the reach of the children. Always store this medicine at room temperature and away from excess moisture and heat. Never keep any medicine which is outdated just threw it away. Consult your physician to know the proper way of disposal of your medication.